Call it decorating, call it staging, the fact remains: the way you furnish and accessorize your home can dramatically affect its value in the minds of buyers. It’s true. Beyond cleaning, organizing and repairing your residence, the way you decorate has the potential to turn an average home into an impressive showcase. Rooms will look larger, features will stand out and, when done right, buyers will be pulling out their pocketbooks. So what can you do to make your home look more expensive? OPTION 1: Hire a Stager. Professional stagers make it their business to know what decorating options will change the look of your home and which will give you the most bang for your buck. Scale: A very large room should have larger furniture, which fits with the size of the space. Have an enormous wall in your two-story entryway? Don’t use two or three small prints to add color—use large paintings or tapestries or artwork that helps fill the space! 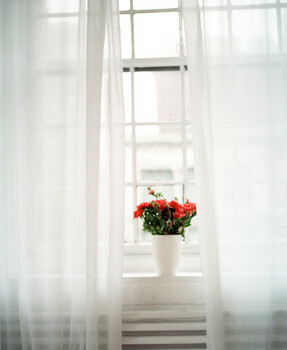 Lighting: The day of a showing, pull back the curtains and turn on the lamps in your (freshly cleaned, ideally) rooms. This will make everything look brighter, more inviting and better to buyers. Personality: When you’re living in your home, of course you can put out family portraits, albums and knick-knacks. When you’re selling, however, you are trying to help buyers see themselves in your home, not help them see YOU in your home. Do everything you can to depersonalize. for Inspiration: One of the best things you can do in terms of decorating ideas is look through magazines and books for inspiration! Find ideas you like and then implement them in your home. « Should you buy NOW?